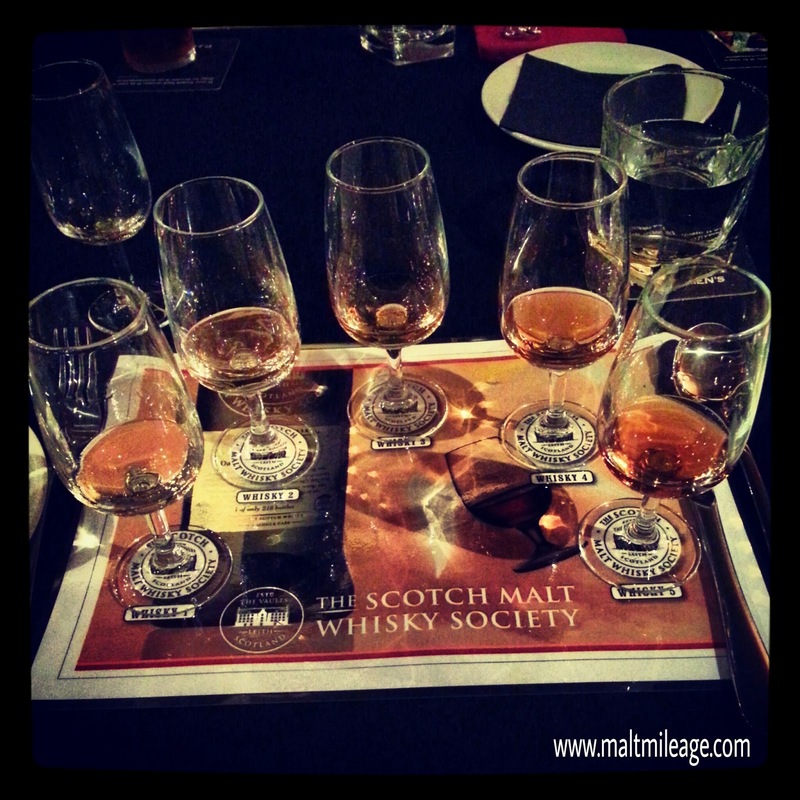 On Tuesday 11 June 2013 I had the opportunity to attend a tasting of the Scotch Malt Whisky Society (“SMWS”) as a guest. My sincere thanks to SMWS for the very kind invitation and for their wonderful hospitality on the night. sells its bottled whisky to members. Therefore in addition to being a “society” for whisky lovers SMWS also bottles and sells its own whisky. This makes it an “independent bottler” of whisky with a twist; the twist being that these expressions are not widely available on the market and appear, at least from what I can tell, fairly exclusive and, to be honest, a little too expensive in my view. The Tasting: What happened on the night? The tasting was held at Southbank, Melbourne. The night began with a very warm and friendly group of people meeting over a complimentary beer or wine. The conversation flowed and it was easy to mingle into the group; a mingling that became easier as the night wore on and whiskies consumed reached six! The night involved tasting five SMWS whiskies “blind” in progression over the course of a three course (and delicious, I might add) meal. It was lots of fun. The chatting was fueled by the need to guess the whisky, and then without warning its identity would be revealed and the room would fill with the familiar sound of “ahhhhhh”; a sound which would eventually fade as the group’s attention eagerly turned to the next whisky! The common theme I identified in all these whiskies was that while they were all excellent, they were, for lack of a better word, “intense”. There was very little subtlety about them, and while they certainly offered fireworks I found that some were heavily dominated by a particular characteristic (for example, big sweet sherry notes). This intensity had more to do with what I felt was a prominent characteristic (sherry, peat or the interaction between the two for example) rather than the alcohol level of the whiskies, being at cask strength. I enjoyed all the whiskies very much, though it was not quite love at first taste!